Four separate auditions will be held during the month of February. Minneapolis , MN, at the Plymouth Playhouse at 6:30 p.m.
Bismarck, ND, at the Sidney J. Lee Auditorium, Bismarck State College, at 11:00 a.m.
Fargo, ND, at the Howard Rehearsal Hall within the Hvidsten Hall of Music, Concordia College at 1:00 p.m. Following cast selection, rehearsals for the 50th year of the Medora Musical begin in Minneapolis on May 8. 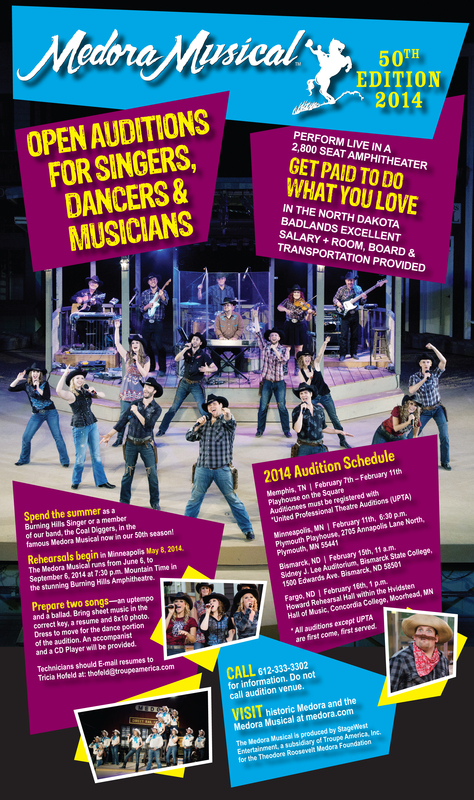 The 2014 Medora Musical will be performed live at the Burning Hills Amphitheater every night, June 6 to September 6, at 7:30 p.m. MDT, in the 2,900-seat Burning Hills Amphitheater. Phil, thanks for the question! 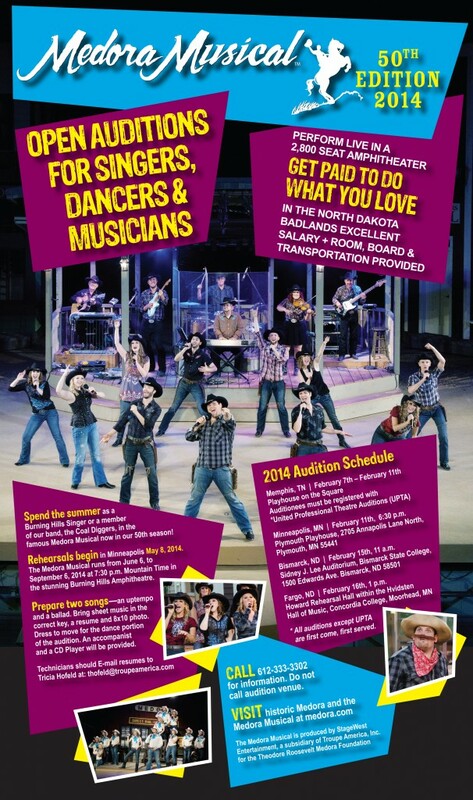 The Medora Musical shows from June 6th to September 6th this year. You can get all the info you need at Medora.com. We’re excited to see you at the Show this year!